This past year, doors have opened while others have closed. For example, I got the perfect job for my current stage of life, while learning to let a few of my housekeeping standards go so that I can keep my sanity. I’ve had to learn to manage my time even better so that I can fit in some of my hobbies and passions. What has been drummed into my stubborn shell through all this is that God has my back and everything always works out in the end because of this. Does this mean I stop worrying? Of course not because I’m a mum, but it helps give me a lot of perspective and I probably have less sleepless nights as a result. For the first time last year, I set myself a reading challenge. In the past I’ve just tried to devour read as many books as possible. Ever since having Iris, the annual total has plummeted. With the advent of her starting formal school and being much more independent, I thought it was time to get back to my pre-baby reading pace. I have to admit, I cheated a bit by putting in books that were marginally longer than novelettes. However, one thing I didn’t bank on that has been such a boost for both my reading and Iris’s is what I read to her at bedtime. We progressed to longer, more wordy books in the second half of 2016 starting with my favourite Dahls. In 2017 we read, Black Beauty, Finding Black Beauty, Danny the Champion of the World, Peter Pan and Matilda twice! We’ve started 2018 with another of my ab favs, The Secret Garden and intend to continue on to other classics and more modern treasures such as Brian Selznic’s masterpieces. Perhaps when I’ve managed to practise my various British accents more, I’ll do a recording just for posterity. It’s also been fairly interesting to see how my opinion of books I thought I knew so well has changed as I’ve grown up. Where previously I shared in Danny and his father’s opinion that poaching from Victor Hazell was perfectly justified because he was an obnoxious, conceited twit who had too much ill-gotten money for his own good. As I read it anew with my daughter, along with most of Dahl’s work, I realised how flawed his morals actually were. Perhaps that’s why I loved them to begin with. 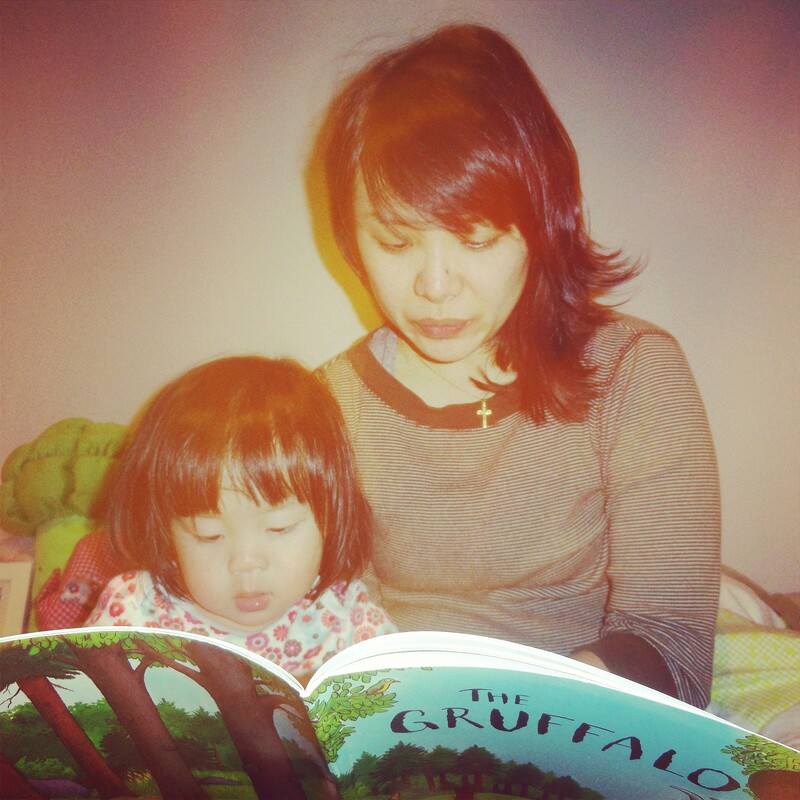 However, what I’ve loved more than anything else, is sharing all my childhood gems with Iris and seeing my joy of the written word reflected in her. Over the past year, I’ve also witnessed my daughter mature in leaps and bounds and while it’s made me tear while secretly watching her toddler and baby videos over and over, I’ve also had so much to be proud of. So what better book to end the year and teach me about trust, especially trusting my own daughter and her choices than J M Barrie’s everlasting classic? 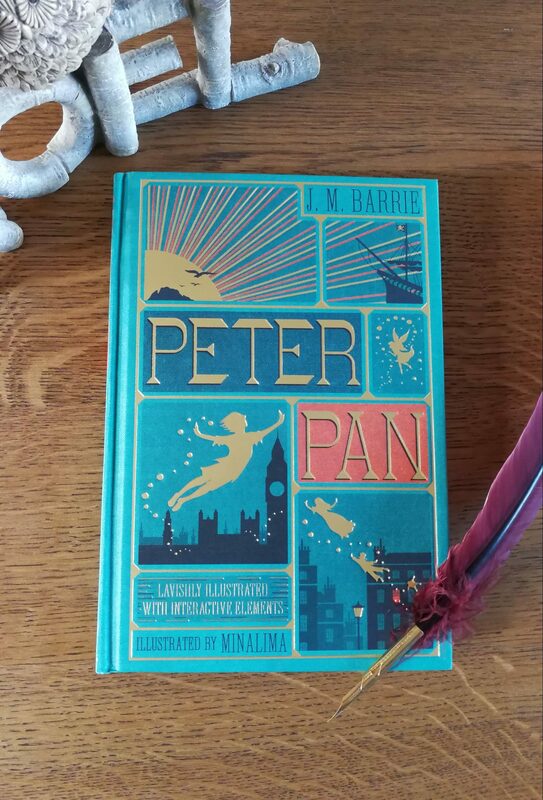 This is the first time I read Peter Pan. I know, I know, like what?! How is that possible? Well all I can say is, there are a lot of books in the world and I moved on to adult classics pretty early. I wouldn’t really classify this as an “interactive” book which is how it’s described. Most of the extras are just to look at as seen in the pics. The illustrations are beautiful, however, as is the binding so I’m still very happy with it. As we started the book I thought the profoundly stilted and old-style language would be too much for Iris. At times she did seem to get a bit lost but overall, I was very pleasantly surprised that she got all the jokes and even shushed me when I wanted to over-explain stuff. I have to admit I got embarrassingly emotional when the children flew out the window and when they returned. Of course I know it’s all metaphorical but how can any mum not feel when your kids decide to abandon you? Perhaps it was divine timing for me to read this as a mum than as a child. I’m certainly treasuring every moment she still turns to me for support and cuddles more but at the same time, I know I’ll need to let her fly when the time comes and trust that she’ll come back if and when she needs to. I just have to leave the window open.